Why These Are The Best Steam Cleaners On The Market? The Lady bug steam cleaner is one of the most highly respected and admired steam cleaners in the market, though these high-quality products are pretty high-end and require an investment. Despite this, the LadyBug steam cleaner models still managed to rise to the top of the charts, so the only reason is that they must be pretty good. Well, based on the background of the Lady bug steam cleaners, it is easy to see why people find it easy to trust Lady Bug. Ladybug offers several models of steam cleaners, from portable handheld ones to large and heavy ultra-powerful ones. They used to focus mostly on the heavy duty commercial use steam cleaners, so they are still stronger in this department than in the home cleaners. But modern homemakers like you these days are also now paying attention to Ladybug’s offers since Ladybug gives one very helpful promise: their steam cleaners are designed to work such that your physical effort during cleaning is reduced. Lady bug steam cleaners also dominate the chemical-free steam cleaning industry with their ultra-sanitized products. The look of these simple but attractive red machines also plays a role in popularizing them. It seems that the only thing keeping consumers from owning a Ladybug is the price, most of which are always over $1,000. What Empowers Each Lady bug Steam Cleaner? 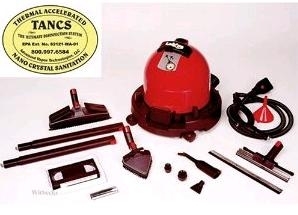 Some of the most notable Lady bug steam cleaners are those that feature the TANCS option. These are the EPA-certified steam cleaners and are considered as disinfectants. 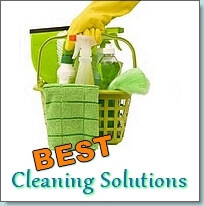 They use eco-friendly, chemical-free vapor steam for perfectly allergy-safe steam cleaning. So what difference does the TANCS option make? Well, this has got to be Ladybug’s best innovation yet. TANCS stands for Thermal Accelerated Nano Crystal Sanitation, an advanced Ladybug technology that effectively cuts through grease, dirt, and grime. It uses the highest steam temperature in the residential steam cleaning industry, which is 298 degrees, so it can apply greater pressure and get better results. Several Lady bug steam cleaners make it to the list of consumer favorites. Consumers who were willing to pay just to get the best steam cleaner on the market should not settle for anything less than the Ladybug 2300 with TANCS. On the other hand, some concerns about the product also arose. All in all, experts and consumers alike agree that the Ladybug steam cleaners are number one in reliability and performance. 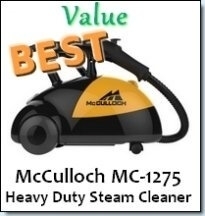 If you want a heavy duty steam cleaner you can rely on for the toughest cleaning sessions, then you wouldn’t mind the extra weight and cost of this machine. Both AllergyBuyersClub.com and HousekeepingChannel.com will commend you for your choice since they themselves have reviewed the product and found that it meets expert expectations. Product specialists also recommend the Ladybug 2200S Continuous Fill steam vapor cleaner, which offers “excellent cleaning results” that are worth paying quite a price for. This is less expensive than the previous model at only $1,500, but it already offers double boilers and the continuous fill feature makes steam cleaning a breeze. The Lady Bug 2150 Steam Cleaner is simply the most affordable, highest quality and most feature rich steam cleaner you could want. The appearance is simple and unassuming, but under that sleek red shell lies the power of the one of the most premium steam cleaner brands in the market. The ability to continuously steam clean without having to stop to refill the tank. It has a continuous fill double tank which beeps to let you know when the water level needs to be topped up. This ensures that there is no waiting for the water to reheat, giving you endless time to complete even the most painstaking cleaning job. If you want to be able to steam clean regularly i.e. For more than 4 hours per week, then this is your best choice as it is very durable and is made as a cross between heavy duty and home steam cleaners. If you have serious problems with allergies, then the high performance steam cleaning of a Lady Bug will solve that problem. The steam emitted is heated at 290 degrees Fahrenheit and delivered at 50-60 psi. This creates a very dry steam/ vapor. 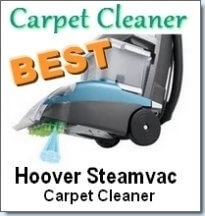 This type of steam is excellent at sanitizing, cleaning and destroying allergens, mold, bacteria etc. A con about this model is of course, the price. Even though it is the most affordable model in the Ladybug arsenal, it is still quite expensive at $1049. 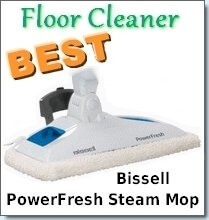 However, if you are looking for a heavy duty steam cleaner for your home and don’t mind paying a little more for quality, this is definitely an excellent choice. The Ladybug XL 2300 and Ladybug XLT 2300 -A Comprehensive review of both the Ladybug XL2300 and Ladybug XLT 2300 steam cleaners. The Ladybug Steamer And Why I Love It -A Great review of the Ladybug steamer. The article covers two models of Ladybug steam cleaners: The Ladybug 2200S and the Ladybug 2150. Ladybug Vapor Steam Cleaners: Ladybug Tekno 2350 Reviews -Ladybug vapor steam cleaners are widely recognized as steam cleaning dynamos. In this article we review the Ladybug Tekno 2350.